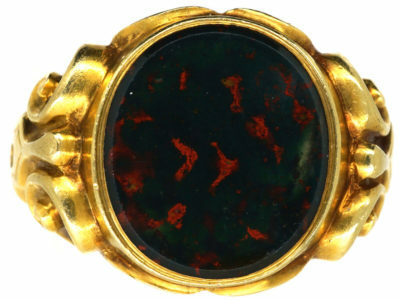 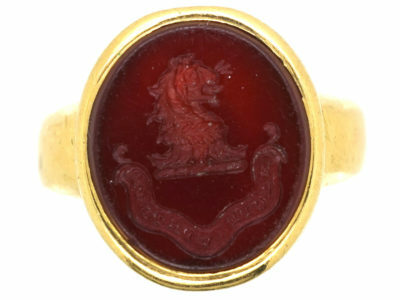 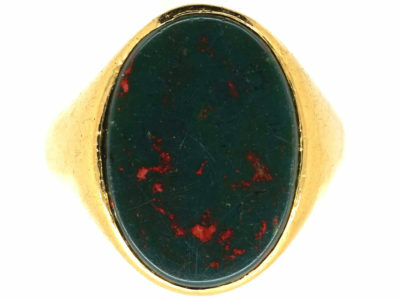 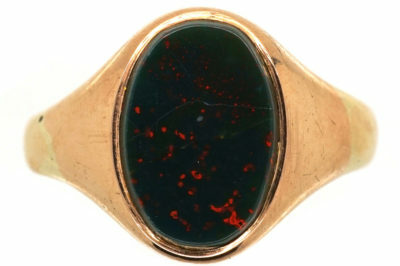 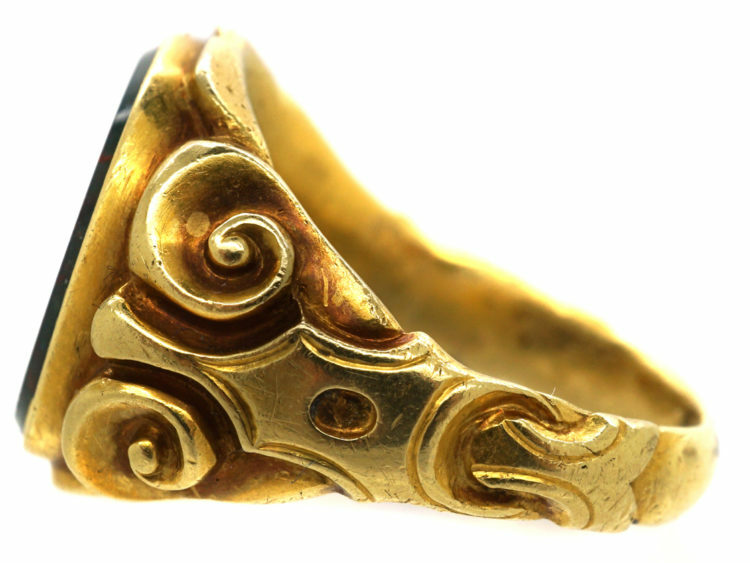 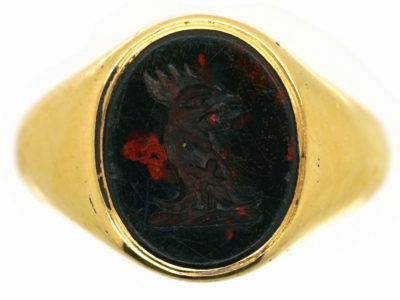 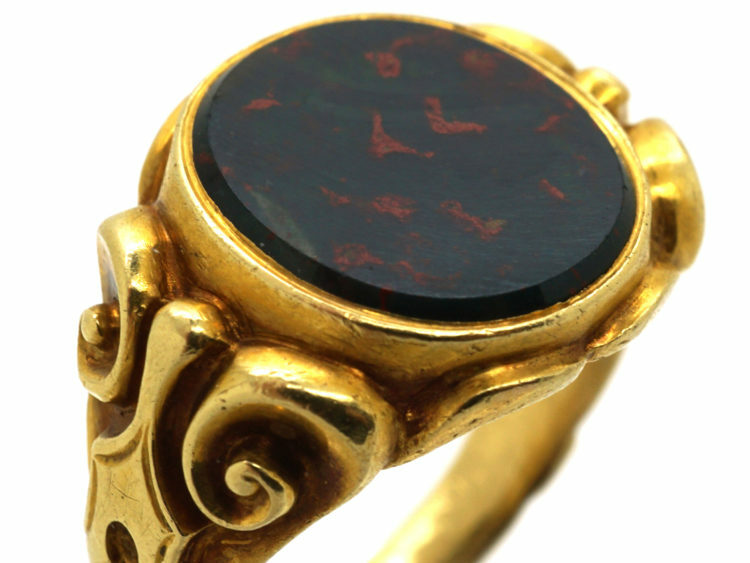 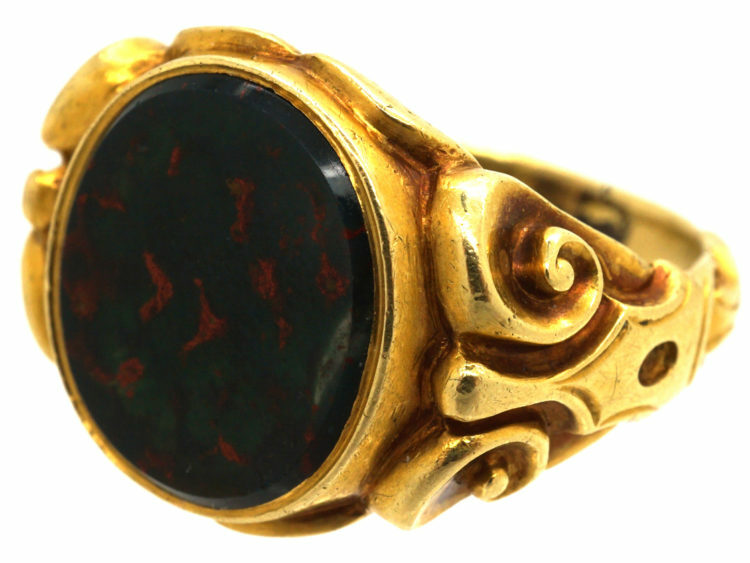 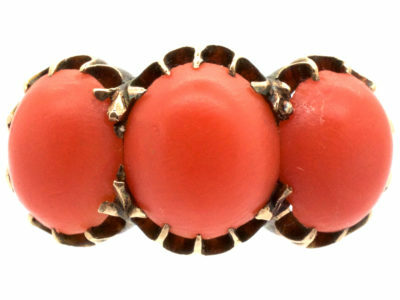 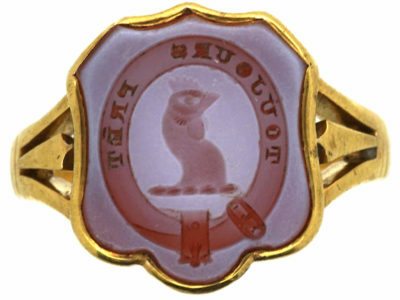 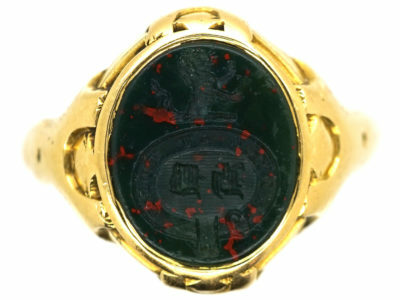 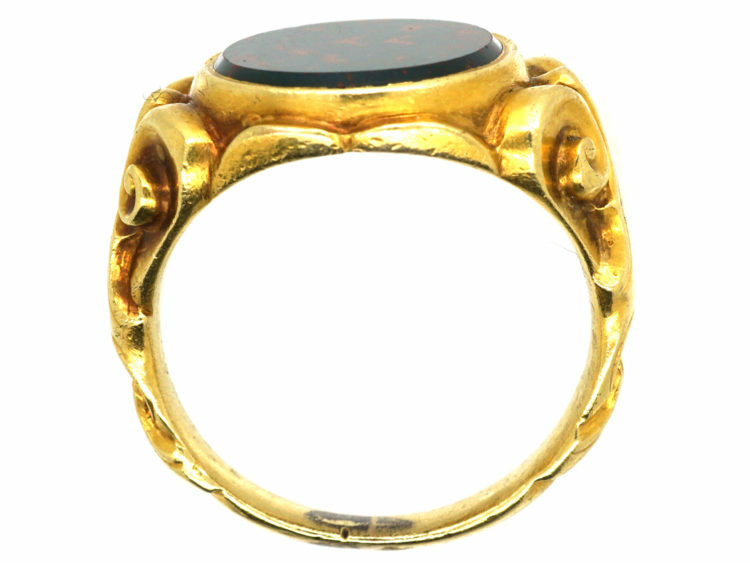 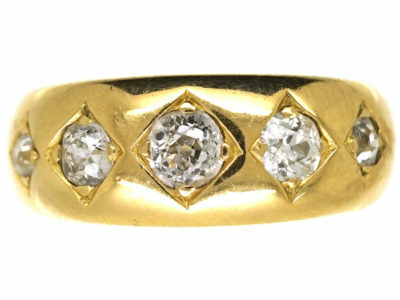 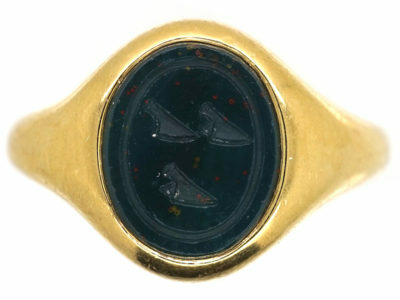 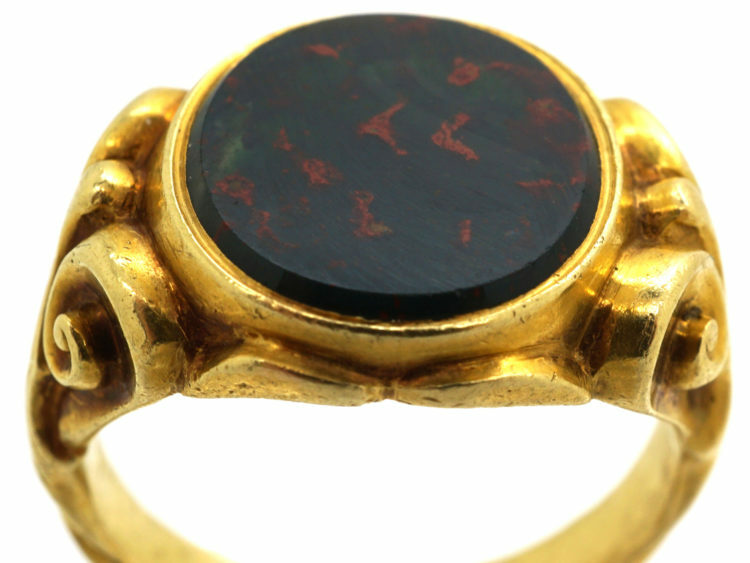 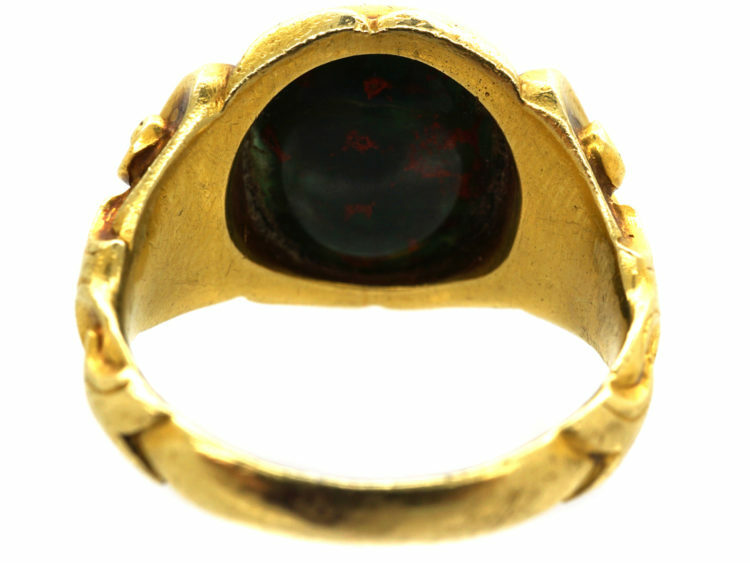 A very good looking 18ct gold ring set with an oval bloodstone that displays red within. 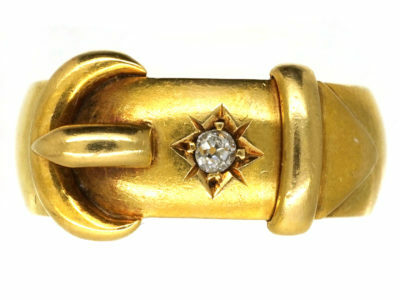 The shoulders are a scroll and buckle design. 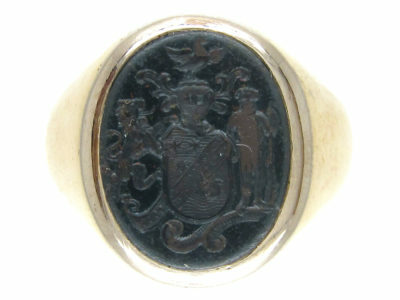 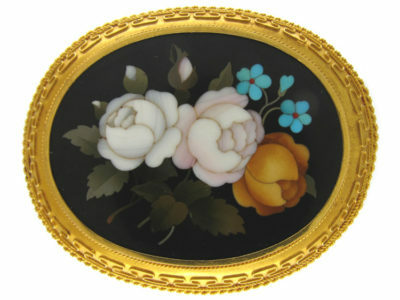 It was made circa 1880 and would be ideal to engrave a crest or monogram on, or just to wear it as is.